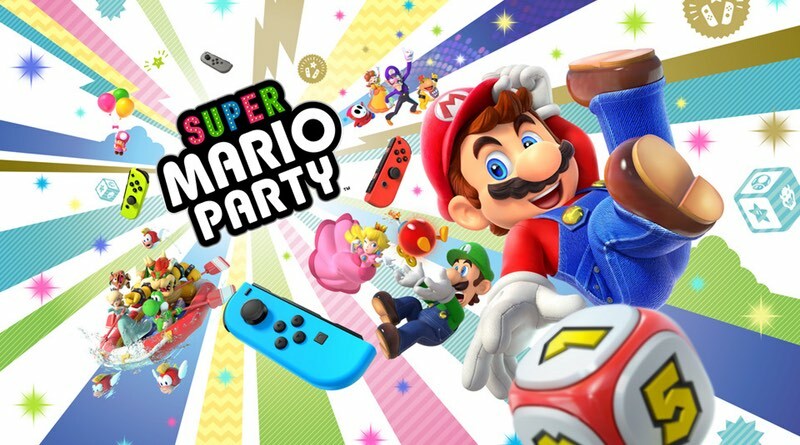 Nintendo Download: It’s Party Time! The eShop has updated with a bunch of new games for the Switch and between now and next Wednesday there will be about 28 new games added to the service! Of course not all of them are worth your time, but there seems to be at least a handful every week that are worth checking out. Which ones will you be spending your money on? Let us know down below! Super Mario Party – The original four-player Mario Party series board game mode that fans love is back, and your friends and family are invited to the party. Freely walk the board, choose where to move, select which Dice Block to roll and compete to win the most Stars in skill-based minigames. And wait till you see the 2-vs.-2 mode* with grid-based maps, the creative new uses of the Nintendo Switch system and the series’ first online** minigame mode. The Super Mario Party game launches on Oct. 5. Mark of the Ninja: Remastered – In Mark of the Ninja: Remastered, you’ll know what it is to truly be a ninja. You must be silent, agile and clever to outwit your opponents in a world of gorgeous scenery and flowing animation. Marked with cursed tattoos giving you heightened senses, every situation presents you with options. For the first time, enjoy the critically acclaimed game, as well as the additional Special Edition content, on the go. Mark of the Ninja: Remastered launches on Oct. 9. Disgaea 1 Complete – To celebrate the 15th anniversary of the Disgaea series, the game that started it all returns in HD. Relive the expanded adventures of Laharl, Etna and Flonne in Disgaea 1 Complete, launching on Oct. 9. My Nintendo Activities – What type of game are you in the mood for this week? Take a quiz for game suggestions, plus while you’re there you can also enter the My Nintendo “Games with an Edge” sweepstakes for a chance to win a huge Nintendo Switch prize pack. Visit https://www.nintendo.com/switch/games-with-an-edge for more details. NO PURCHASE NECESSARY. Void where prohibited. Open to residents of the U.S. and Canada (excluding Quebec) who are a My Nintendo member and at least 13 years old. Promotion begins on 9/24/18 at 11:00 am PT and ends on 10/15/18 at 10:59 am PT for a chance to win. One (1) Grand Prize winner will receive: one (1) Nintendo Switch system, one (1) Home Cinema Projector for Gaming with Short Throw | HT2150ST, one (1) JaeilPLM 100-Inch 2-in-1 Portable Projector Screen, one (1) download code for Splatoon 2, one (1) download code for Splatoon 2: Octo Expansion DLC, one (1) download code for 2,500 V-Bucks for use in Fortnite (game not included) and one (1) download code for Stardew Valley (AVR $1,398.94). Ten (10) First Prize winners will each receive: one (1) Nintendo Switch Pro Controller, one (1) download code for Splatoon 2, one (1) download code for Splatoon 2: Octo Expansion DLC, one (1) download code for 2,500 V-Bucks for use in Fortnite (game not included) and one (1) download code for Stardew Valley (AVR $259.95 each). Total ARV $3,998.44. Winners will be selected at random from all eligible entries. Odds of winning a prize depend on number of eligible entries received. Details and restrictions apply; see Official Rules available at https://www.nintendo.com/switch/games-with-an-edge/sweepstakes-official-rules/. Earn My Nintendo Points – Can you find Toadette? Search for six hidden Toadette characters on the Super Mario Party site to earn My Nintendo Platinum Points***. The more you find, the more points you’ll earn. If you find all six Toadette characters, you can earn a free wallpaper. My Nintendo is also celebrating the Super Mario Party launch. Redeem your points and get new Super Mario Party themed rewards at https://my.nintendo.com/. Nintendo Labo Creators Contest No. 2 Results – Winning creations for Best Toy-Con Musical Instrument and Best Gaming Experience using Toy-Con Garage have now been selected. Be sure to check out all the winning entries, including the runners-up in each category, on the Nintendo Labo Creators Contest Winners’ page. Looking for more DIY projects? Nintendo Labo: Vehicle Kit is now available. ***A Nintendo Account is required to receive and redeem My Nintendo Points. Terms apply. https://accounts.nintendo.com/term_point.